State gun safety laws have been shifting over the last several years, and domestic violence and gun control advocates are making inroads. Specifically, they’re passing laws designed to keep guns away from domestic abusers. Kansas, Oregon, New York, and Vermont passed laws in 2018 to keep guns away from domestic abusers; Maryland also passed legislation, though loopholes need to be closed. And in Pennsylvania, the policy has unanimously passed the State Senate and is now before the House of Representatives. Between 2009 and 2014, states passed 30 new laws addressing guns and domestic violence, reports the Giffords Law Center. What’s behind the passage of these laws? Tofte credits the strong coalitions promoting support for these laws to state legislators. “Local and state domestic violence organizations bring an incredible amount of expertise when they are testifying,” she says. They add their voices alongside organizations working for gun violence prevention and intimate partner homicide prevention. Law enforcement plays a role too since police often see the impact of domestic violence and how firearms elevate the threat of danger to partners, children and law enforcement. “When there’s a powerful coalition, it makes it that much harder for legislators to turn away or to come up with credible counterarguments for why abusers should retain access to firearms,” Tofte says. Tofte explains that public polling shows a lot of bipartisan support for restricting abusers’ access to firearms. So, when legislators address gun safety they often focus on this issue. “The research is very strong that there’s a clear line between abusers’ access to firearms and deadly threats to women and children,” she says. She expects legislators to continue to close the gaps that still exist since research underscores how much of an impact these laws are having. “Restrictions are saving lives,” she says. For example, many states prohibit people convicted of domestic violence or served with a protective order from obtaining firearms. Adding another level of restriction—requiring that abusers turn in any guns they already own—is proving to have even more of an impact, Tofte says. States that require abusers to relinquish their guns have a 14 percent lower rate of intimate partner firearm homicide. Researchers are also finding that restrictions which don’t necessarily seem directly connected to domestic violence are saving lives. When states rule that people convicted of a violent misdemeanor are prohibited from possessing firearms, that can have a significant impact on reducing gun homicides. That may be because in those cases the underlying allegation could be connected to domestic violence but a plea deal resulted in a conviction for a violent misdemeanor. “The risk firearms pose to intimate partners is real, and the data is also backing up ways in which abusers’ access to firearms is impacting children,” Tofte says. Gun-related deaths are the third-leading cause of death for American children. A 2017 study found that nearly 1,300 children die and 5,790 are injured by gunshots annually in the United States, and domestic violence plays a role in these statistics. Legislators are also paying attention to the connection between domestic violence and mass shootings, since in the majority of mass shootings the shooter has a history of domestic violence or family violence. The idea is that tougher gun laws to keep domestic violence survivors safe would, in theory, help keep the public safer as well. While state laws vary, there are legal mechanisms in place in every state that can help mitigate some of the risk of gun violence. And federal law offers some protection—state laws are designed to fill the gaps federal laws leave. If someone takes out a protective order, there are state or federal laws that prohibit that person the order is against from possessing firearms. “There are minimum sets of protections in place,” Tofte says. How well does your state protect people who are facing domestic violence? Check this list for your state’s laws and don’t hesitate to call your representatives and demand tougher laws. 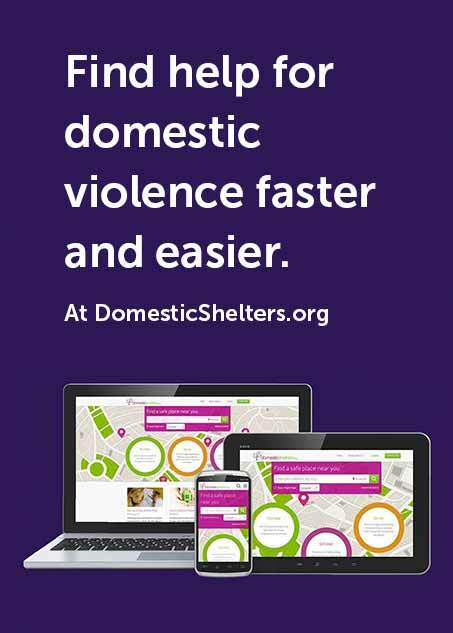 Learn more about how guns, not surprisingly, increase the rate of domestic violence homicide at our “Guns and Domestic Violence” statistics page.